This is a special edition of Perfecting Your Practice: Optimize Your Business Finances & Outreach on ReachMD. 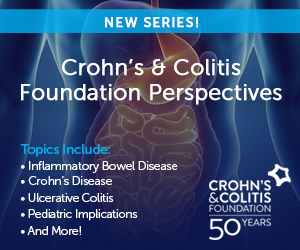 The following episode is provided in partnership with Bankers Healthcare Group. Here’s your host, Keith Gruebele. Hey, everybody, welcome back. This is Keith Gruebele, coming to you live from episode number 4: Navigating the Medical Practice Lending Landscape. That’s a lot to talk about. Let’s face it: Lending is a need of most businesses, but healthcare especially, as technology evolves and times change, the needs of the medical space continue to grow and the one way that we get there is through financing. So, making sure that you understand the finances of your practice and understand the lending landscape and the opportunities that are available to you is more and more critical every day. Now, I’m sure that you’ve some to realize really quickly that as a healthcare professional you’re a lot more than just a practitioner. The reality is that today, you’re a practitioner, you’re a business person, you’ve got to be CPA and in some cases a counselor. On a daily basis, there are so many things going on that to manage, it becomes more and more difficult to manage the financial aspect of everything, and that causes a lot of stress. The reality is that the healthcare profession is undergoing an increased amount of stress just due to the number of changes that are happening out there. And finances tend to be one of the number one areas of stress. It’s not as easy as it once was. We talk about this all the time and I’m sure we could go on for days and hours; you all know your own stories about how the medical industry’s changed and how much it used to be like this, and it used to be like that. Whatever the case may be, more or less on a handshake and a smile, had your loan wired out to you, deposited into your account, and you could go ahead and use those funds. Regulations have changed and, obviously, the lending landscape has changed. We’ve been through a couple of recessions since then and every time there’s a change in banking, it becomes a little bit more complex and a little bit more difficult. What we’re going to talk about a little bit is how that impacts you. Owning a practice means that you’re a business owner, and being a business owner today is not what it was yesterday. You can’t just step in, see your patients, and work through your normal cases and do your rounds, and then take off for the day. You have everything else coming at you, from repairs and issues in the office to being able to remodel, negotiating with your landlords, your vendors, your utilities. It reminds a lot of an episode I saw on TV earlier of Moonshiners. It’s really a kick; a lot of fun to watch and I really recommend it, but this was a recap episode and they were speaking about the ingenuity of the folks that are in the moonshine industry and how they need to be more than just a moonshiner today; they’ve got to be a sales person and a business person; they’ve got to be a plumber; and they’ve got to know how to engineer things and move water and move fire and change electrical outlets and all these different things. They use the analogy of having to wear so many different hats that they’re surprised that their hats don’t get knocked off as they’re moving through the woods. It’s the same thing with the healthcare professional. It’s not putting your coat on anymore and moving room to room and seeing your patients, shaking their hands and making them feel good. You’ve got to worry about payroll, insurance reimbursements, changes in regulations and reimbursements, your rent, your mortgage, your utilities; your maintenance on the building, your supplies, the equipment, the staff, the technology, the benefits, the emergency funds. The what-if’s and how’s—everything else that’s going around you. Then they say, “I’m OK, but there are some things I should do here. I’m going to do this, that, and the other thing.” And the reality is that we set goals, especially at the beginning of the year, but we don’t really execute on them. We have to start getting in front of understanding from the financial perspective, how do we start executing on those goals? We’ve got to really start talking about how we’re going to grow our practice and how we’re going to put that in place. If you survey a healthcare professional who owns a business, they’ll tell you that they intend for growth in the coming year. And I love that. I’m a very optimistic person and I hope that everybody’s business grows in the next year. But hoping for something and saying that it’s going to happen and actually planning for it and executing on it are two completely different things. So, let’s talk a little bit about the financing options that are out there and getting you a little bit more savvy to what’s happening. Credit is the lifeline of any business out there. And as you all know, the majority of businesses that have started successfully have learned to leverage credit intelligently and used lenders to their advantage. There’s that old saying – scared money makes no money and also, the best money is other people’s money. You’ve got to understand the loan products that are out there and available to you. You have to understand how to leverage them and which ones make sense for what use of funds. The reality is that today, with all these acronyms, and different lenders and different names, it’s really difficult to nail down which option is best for you. And, unfortunately, it’s not a one-size-fits-all type of approach. You can’t just say anymore that “I’ve got a banker and that banker gets everything done for me” because maybe you’re looking for an equipment loan, maybe it’s an acquisition loan, maybe you’re looking to grow your current office or practice. Maybe you just need general working capital; a reserve of cash to get you through some thinner times. Let’s talk a little bit about which tools are out there and which ones are going to get the job done most efficiently and in the best way. First of all, know the types of loans that are out there for you. As a business professional, there are lines of credit, small business loans, debt consolidation loans, business credit cards, bank loans, alternative financing loans—you’ve got to really understand which ones are the best options for what I’m looking for. The other thing that I tell healthcare professionals often is to remember one major thing that I unfortunately see way too often, and it’s something you should stay away from, is leveraging personal credit for business options. Oftentimes, we don’t realize that by leveraging our personal credit, we could be putting ourselves in a precarious position, tying up our own personal buying power and maybe impacting our credit score. If you took the same approach and just put those debts on the right financial vehicle, you may get yourself some business credit established, avoid putting all those debts to your personal side, and grow your business credit, which ultimately becomes a valuable asset for you and gives you an opportunity to be able to tap into more credit when necessary just for the business. So, let’s talk about what’s available to you. Aside from the lending institutions, you’ve got business lines of credit. Business lines of credit are really flexible. They’re going to give you a line that you can tap into, much like a revolving account, and you can leverage when you need it for whatever you need it. Now I will tell people you’ve got to be cautious because business lines of credit oftentimes are interest only in the way that they’re structured. And if it’s an interest-only line, the biggest concern is are you really making payments to pay down the entire balance? Unfortunately, let’s face it. Most people say I want to pay off this debt in such a period of time and they might leverage a credit card or what’s known as a revolving credit line, and wind up holding on to that balance forever, just making the minimum payments and continuously dragging it on. By the end of everything, you look back and you’ve spent a ton of money on interest charges just for something that you maybe had been able to place into a term loan, something a little more fixed and pay off. So, keep that in mind when you leverage a line of credit. A line of credit is meant more for short-term emergency uses where you repay pretty quickly. If you do leverage a line of credit, know its strength. Know that it’s there for you, but make sure you’re paying it off in a timely manner. Business loans are abundant. There’s a ton of different lenders out there doing it—everything from MCAs to short terms to long terms to SBA—it can get very confusing out there. So, I tell people if you want to look at business loans, start understanding how they work and which ones work for you. You have to ask yourself some questions to get there first. What’s the purpose of my funds and how quickly do I need them? How much do I need? What kind of payments can I afford? How much payment can I make? All this ties back into understanding which one of those lenders who want a business loan is the right one for you. Business loans are offered by everyone from a traditional bank institution like the ones that you currently hold your deposit accounts with to what are known as fintech companies. Financial technology companies that operate mostly online, some over the phone, and supply funds a little bit more quickly. 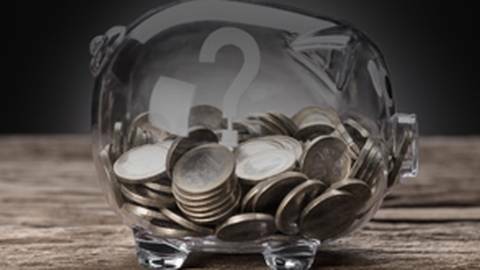 There are pros and cons to both scenarios, so without getting too deep into the details, understanding your need for funds is the most critical thing that you can do to start aligning yourself with the right lender. What do we mean by that? Purpose and timeframe. What do I need the money for? How fast do I need it? If it’s an emergency, you might be more prone to go with somebody who is a little bit quicker where the funds might cost you a little bit more and you might have shorter repayment terms and higher payments, but it will get you the money you need in the pinch that you have. Other times, you can plan more in advance and say, Hey, I have the time to take and I can go through a little bit of a longer underwriting process to get the loan that I need to finance the project that I’m working on. How much do I need? That’s another great question. Some lenders specialize in smaller, shorter loans; other lenders specialize in much larger loans. If you’re looking to take on a larger project that involves real estate and construction, possible acquisition of a large business, then maybe you’re better suited going to a bank for something like an SBA loan. If you need a smaller amount and to do it very quickly, and it’s just short term, maybe one of those financial options online are an easy way to go about it. Either way, understand what you need the money for, how long you need it and how much you need are critical. But the last part is the most important. What kind of payments can I make? You’ve got to be able to manage the business of healthcare. Manage your own business. You are the CEO of your business, of your life, and I know that while this is difficult to get into from a financial perspective and to start understanding at a deeper level, these are the tools that will help you get ahead and make you more profitable in the long run. You want to understand from the payment perspective, how much payment can you afford? Understand your budget, and if you’re doing a regular check-in on your financial, as you should be, and managing your cash flow and understanding what kind of liquidity you have, you can start understanding what kind of payments you can make. Is it a daily payment? Is it a weekly payment? Is it a monthly payment? How much is it? Keep in mind that there is no silver bullet that solves for everything. So, at times, you’re going to have to make compromises to understand that you may have to give a little bit up on how much you actually borrow or how long it takes to borrow that money, or what documentation is involved in doing so to get the right solution that meets your needs. I know that I’ve hit you with a lot of information, but this is something near and dear to me. Understanding the lending landscape and how it impacts your business is your responsibility as the CEO of this practice. You have to understand he landscape of the business loans that are available to you to know which one is best for your practice and how to leverage it. There are tons of options out there and I’m always here to help advise. Feel free to reach out to me. The preceding program was provided in partnership with Bankers Healthcare Group. 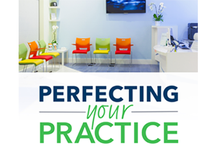 To find other episodes in this series, visit ReachMD.com/PerfectingYourPractice. 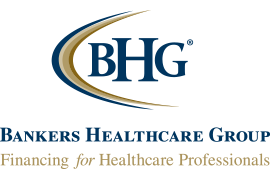 For more information on Bankers Healthcare Group, go to www.perfectingyourpracticetoday.com. Making sure that you understand the finances of your practice, the lending landscape, and the available funding opportunities is critical. 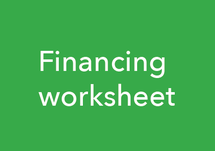 Making sure that you understand the finances of your practice, the lending landscape, and the funding opportunities that are available to you is more and more critical every day. Understanding the landscape and how it impacts your business is your responsibility as the CEO of your practice, so you know which financial option is best for your practice and how to leverage it.